Gareth Bale was the star for Real Madrid as his two goals fired Zinedine Zidane's side to Champions League glory in a 3-1 victory over Liverpool. But while the Wales winger will soak up the accolades after shining on the biggest stage in club football, it was a very different story for Reds goalkeeper Loris Karius. The German endured nothing short of a nightmare, conceding two cheap goals that ultimately ended any hope his side had of stopping Los Blancos from claiming the title for a third successive season. On a difficult night for Liverpool that also saw them lose Mohamed Salah to injury, we assess the performances of each player on show. Early nerves suggested he could be at risk of a blunder, but the Costa Rica international gained confidence with a sharp save from Trent Alexander-Arnold in the first half and had little to do from there. Harsh as it may be to say, Madrid were better once he tearfully left the pitch with a hamstring injury in the 37th minute. France defender Varane, though not free of blame for Liverpool's equaliser, was essential to ensuring the Reds' energetic start came to nothing as he eventually finished with six clearances - twice more than any other player on the pitch. Dejan Lovren climbed all over him to win the header that led to Mane's goal, but Ramos - the target of Liverpool fan fury for his involvement in Salah's injury - was otherwise mistake-free. Delivered the cross from which Bale set tongues wagging and, though suggestions had been made that his attacking mindset could be exploited, his high starting position helped pin back Jurgen Klopp's men. Positive and clean in possession with his typical class complemented by a team-high four tackles that helped swing the midfield battle in Madrid's favour. Left the heavy lifting to Modric and Toni Kroos in an understated performance that failed to match the influence of his 2017 display. Improved after a surprisingly shaky start to wrap up the match with more passes (87) than any other player on the pitch, including plenty in the attacking half. Helped Madrid find a foothold as the first half wore but substituted on the hour and should have done better with the finish that came back off the crossbar. Posed an occasional threat without ever really looking like he would conjure a trademark piece of magic. 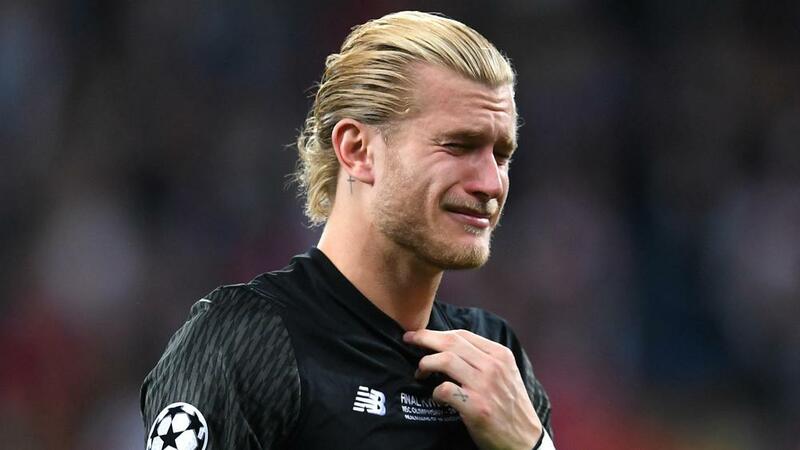 Justified the faith Zidane showed in him with a quick piece of thinking of that set Madrid on their way and clearly rattled Karius. Did what was required of him without taking many attacking risks. What more can you ask of a substitute? Often criticised by Madridistas, Bale wrote himself into folklore with an absolutely outrageous bicycle kick, and his speculative second was always going to be worth a try given Karius' form. Introduced in the 89th minute, leaving him little time to score a second Champions League final goal. The only difficulty in weighing up Karius' performance is in trying to determine which of his two awful errors was worse. The goals he gifted to Benzema and Bale will not be forgotten by Liverpool fans, who are sure to demand Klopp signs a replacement for next season. Offered encouragement to England manager Gareth Southgate with a mature, assured performance on the big stage, and might have scored early if not for an alert Navas. Questions were asked whether he could get through 90 minutes against a world-class attack, but the Croatia defender was among his team's best under difficult circumstances and won the header that saw Sadio Mane equalise. Likewise deserved better than to ship three goals as he largely kept Ronaldo and Benzema in check. Summed up an excellent first season for the club with an industrious display on the left and made an impressive late challenge to prevent Ronaldo from getting on the scoresheet in the final 20 minutes. After helping the Reds employ an effective early press, Wijnaldum faded and was outclassed by Modric and Kroos. Topped his team's count for passes but was unable to stem the flow of meaningful possession Madrid enjoyed after the opening half hour. Integral to Liverpool's run to Kiev, the experienced Milner simply struggled to get on the ball and lacked his usual energy before being withdrawn late in proceedings. Looked likely to create havoc until he was cruelly cut down by a shoulder injury that forced him off by the half-hour mark. Quiet after Salah's withdrawal, he managed only two shots, including one blocked attempt on the turn in the first half with which he might have done better. Fully deserved his poacher's goal after stepping up to lead the attack in Salah's absence. That he made more tackles (six) than any of his team-mates encapsulated his work ethic. It was always going to be a tough task to fill Salah's boots and, in truth, he did not get close to doing so. Defied expectations to even take the field but the game was done by the time he was thrown on. Who will win CL final?